Sometimes it pays off to take the road less traveled, and women all around the U.S. are getting more involved in the adventuring touring segment and making their own way in the industry. In the past, at rallies such as the ADVWoman rally, Clickenger said that women were overwhelmingly curious about adventure riding, and dual-sport seminars were well attended. “They were so curious about riding a small biker after riding a big bike. We’re seeing a lot of people that are riding cruisers now buying dirt bikes. That’s our focus,” she said. 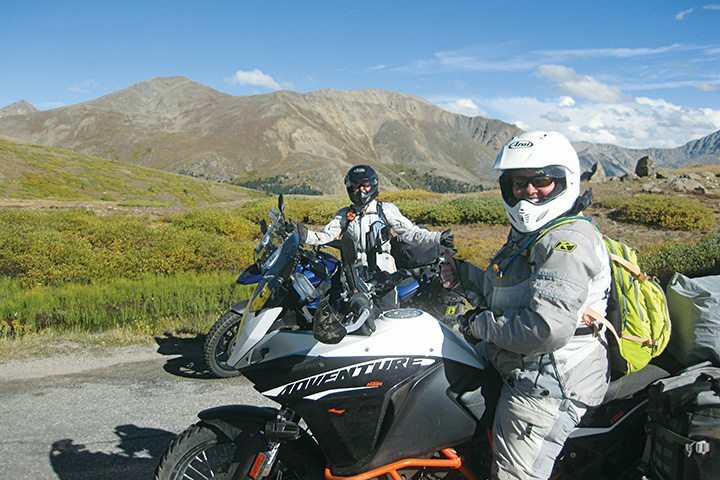 Each year, Women’s Motorcycle Tours plans to offer a variety of tours throughout the U.S., including weekend getaways, teaching tours and one “bucket list” international tour. 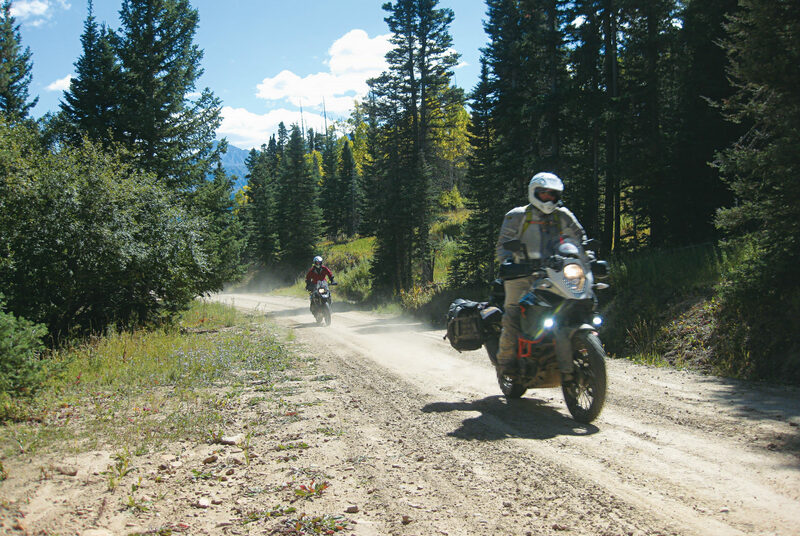 The eight-day trip took place immediately following the ADVWoman motorcycle rally in Granby, Colorado, which gave riders a chance to learn new skills from Jacques and use them immediately on the COBDR with Women’s Motorcycle Tours. Clickenger looks forward to working with Jacques in the future and hopes to expand the number of tours offered per year. As it stands, Women’s Motorcycle Tours offers one international trip a year, one dual-sport ride a year, weekend getaways and a handful of on-road tours throughout the U.S. She said Women’s Motorcycle Tours will also offer more training tours in the coming year, to cater to a wide range of experience and riding levels. Dual-sport tours are often limited to 10 to 12 riders due to the technical difficulty. The organization has developed a program to visit dealerships and work with them to build a presentation getting the word out to female riders and leading rides. “We help the dealership jumpstart their female riding community, for dual-sport or street. It’s all about community building and creating this experience for women,” she added.